Better communication with clients is one of the key factors for the improvement of business position. As stated by RightNow in their Customer Experience Impact Report, 89% of customers lose interest in a company after having a bad experience with support service. Evidently, the clients are the ones who make a business a success or failure, and only if your support system is good enough, they will stay loyal to you. 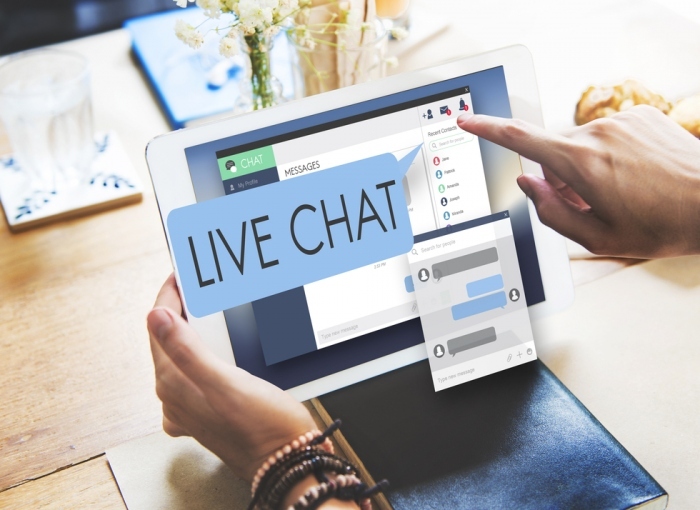 The ultimate step that’s becoming more and more popular among businesses on their way to loyal customers is the integration of their website live chat with their knowledge base. In this article, we present the advantages of these useful assets that will make it easier for you to take your communication with your clients to a higher level. According to eConsultancy, more than 80% of customers at some point of their purchase need some kind of customer support. When having a problem, the first thing they do is scroll through the website to find the answer. Only when they realize they cannot find it, they reach out to customer support. If you integrate your live chat support system with your knowledge base, you are practically filling in this gap between the appearance of customer’s problem and their decision to contact your agent. Providing the customers with the answers that they can easily find, you are saving the time your agent would need to answer the same question over and over. According to Defaqto Research, 55% of customers are willing to pay more for a better customer experience. In other words, if you want to make your customers happy, live chat and knowledge base integration is the right thing to do. Not only will you be able to give your customers a quick response they need, but you will also have the knowledge base that will help you reply even faster, while at the same time providing a reliable and thorough answer. Having in mind the listed information, you can be proactive and initiate a live support software with customers that seem to be stuck somewhere in the process of purchase. You can then direct them to the useful articles in the knowledge base, or simply talk to them about the issue they’re experiencing, to help them finish the purchase successfully. As your understanding and proactivity increases, your relationship with customers will reach a higher level. Have you ever tried to get to know more about a certain product, service, or issue that you have, by contacting the business representatives more than once? Then you’ve probably experienced the situation when different support agents working for business give different information. Unfortunate situations of this kind are usually owed to poorly managed support systems and the lack of basic information. Once you introduce the usage of a knowledge base, none of your employees will have an excuse for giving wrong or incomplete answers. Even when they don’t know the answers, the operators will be able to consult the knowledge base and instantly give your customers consistent and reliable information, no matter whether they work as live chat, phone, or email support. The usage of website live chat has numerous advantages compared to traditional support methods. It is a perfect remedy for painstaking queues that appear in call centers, as well as an efficient substitute to slow email support. In addition to these, it will also save your money. avoid the high costs of calls in call centers. Once you additionally enhance your live chat support by integrating it with your knowledge base, your agents won’t require as much time as they would need if they had to answer each question on their own. This means that your live chat agents will be able to serve more customers for the same paycheck, making this option a cost-effective solution for your business. Additionally, this solution will also save your customer’s money, because they won’t have to pay tolls to contact you. By making your chat support agents use the knowledge base, you will make them inform themselves thoroughly about all aspects of your business. This way, you will lower the percentage of the messages forwarded to other employees, since you’ll be providing them with reliable and constantly updated materials that they may need to proactively and efficiently solve a specific problem. Additionally, you will be able to keep track of the workload of each agent, including all kind of statistical information such as the number of customers served, customer feedback statistics, chat transcripts and ratings, etc. This will help you in realizing if your website live chat support is doing their job efficiently and what skills they should improve to provide better results. According to Nielsen-McKinsey, only 18% of customers would recommend a business that gives slow answers, no matter how effective the answers are. Apparently, you don’t only have to know the answer, but you should also make sure to forward it to your customer as quickly as possible. As you could see from the benefits listed above, a reliable chat software and a thorough knowledge base make the powerful combination for communication with clients. They will keep your customers happy, and therefore, make your business grow, so make sure to find the ones that suit you best, and watch your business bloom. Jason is a technical writer currently associated with ProProfs Chat. He enjoys writing about emerging customer support products, trends in customer support industry and the financial impacts of using such tools. In his spare time, Jason likes traveling extensively to learn about new cultures and traditions. When Personal Loans Can Save You Money?